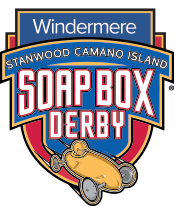 The Stanwood / Camano Soap Box Derby is happening June 15, 2019! 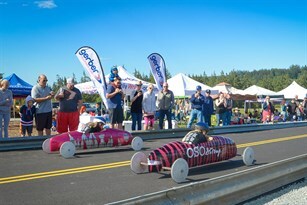 Come register for the Stanwood Camano Island Soap Box Derby at Arrowhead Ranch on March 30th, 2019. See the track and learn more about build clinics. For more information about Soap Box Derby and Arrowhead Ranch, watch the videos below! If you’re interested in racing, volunteering, sponsoring, or coming to watch the fun, let us know! 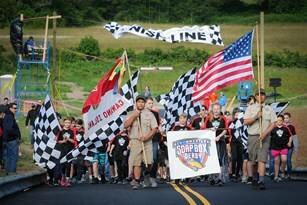 The Soap Box Derby is a family-friendly competition for children age 7-17. Derby racers work with a mentor (usually a parent or grandparent) at weekly build clinics where they build their car and practice racing on the private Arrowhead Ranch track. 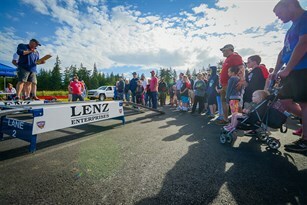 After weeks of preparation, racers get ready to compete at the Stanwood Camano Soap Box Derby on Father’s Day weekend. Build clinics are Thursday evenings at Arrowhead Ranch throughout April and May. This one-on-one time between the racer and their mentor is something both racers and mentors enjoy and look forward to! During build clinics, racers learn STEM skills and how to work with tools as they build and customize their cars. Once their car is put together, racers get to practice racing down the paved 800 foot track. Race day is held at Arrowhead Ranch on the Saturday of Father’s Day weekend every year. This is an exciting and fun-filled day for racers, mentors, volunteers, and spectators! We run over 200 races in one day, beginning at 9 a.m. and finishing around 4 p.m. Our racers compete in either the stock or super-stock division based on their age. The winner in each division gets an all expenses-paid trip for themselves and their mentor to the National Soap Box Derby Race in Akro, Ohio! 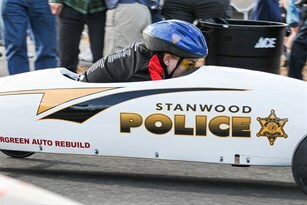 The cost to compete in the Stanwood Camano Soap Box Derby is $50 and scholarships are available to those in need. To sponsor a car or the event, contact us! 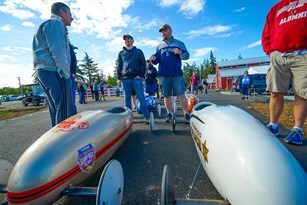 Arrowhead Ranch is a longtime dream-come-true for Stanwood Camano Soap Box Derby Founder, Randy Heagle. As owner of Windermere Stanwood and Camano Island, Randy is deeply invested in the local community and is excited to share the Arrowhead Ranch with his friends and neighbors. 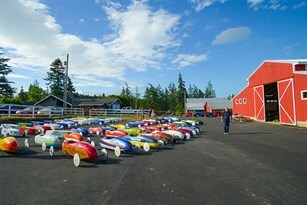 The Ranch serves as headquarters for the Stanwood Camano Soap Box Derby as well as a future community hub and event venue. Everyone who visits Arrowhead Ranch is encouraged to be safe, have fun, and dream big! Arrowhead Ranch is hosting an open house on March 30, 2019. Details to be announced.